Bean Bag pet beds are orthopedic dog & cat beds. Pet can adjust bed shape and that provides excellent support for every part of it’s body. At the same time they are soft and much more comfortable than other cat & dog beds. Woff Woff Bean Bag beds provides warm and cozy nest for your pet. It is amazingly healthy, comfortable, beautiful and practical bed you can choose. Very easy to maintain because you can change bed covers whenever you like. You can choose between practical covers as the stylish ones. Here you will find pet beds for every dog’s and cat’s life style. 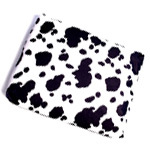 You will find perfect pillow for adventures and dirty little beasts, for the princesses and princes with stylish taste and for oldtimers with incontinence difficulties. Pillow covers also fulfill different needs. When the weather is rainy and dogs get muddy or your dog is in heat, you can use waterproof covers. Other times you can use designs that match your home design or your dog character. Bean Bag Pet Bed Pillow is veterinarian recommended for a few important reasons. The Bean Bag Dog & Cat Pillow automatically shapes with pet’s body and provides ergonomic adjustment to pet’s spine. It is the best ergonomic dog bed for your canine friend. It provides ideal relaxation that removes mental and body tension, depression, anxiety and stress. 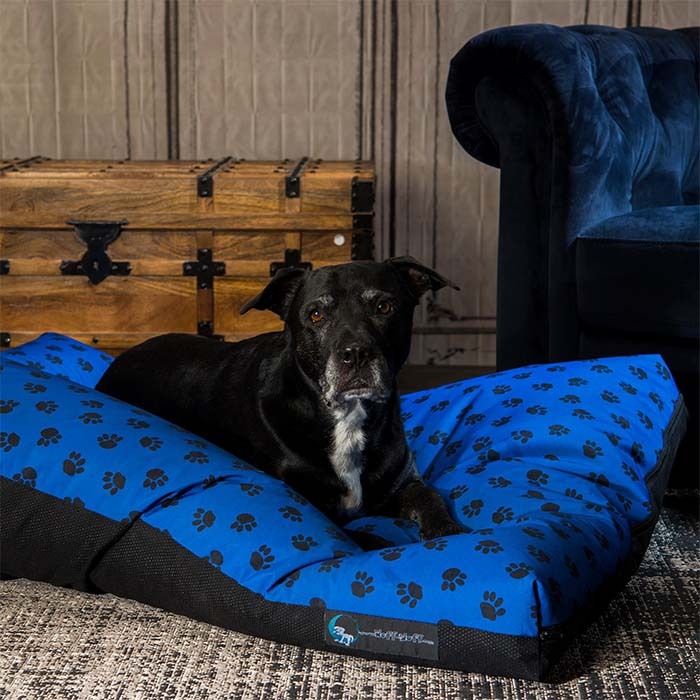 One of the best possible ways of alleviating stress and balancing pet’s body is relaxing on the cozy Bean Bag Dog & Cat Bed Pillow. 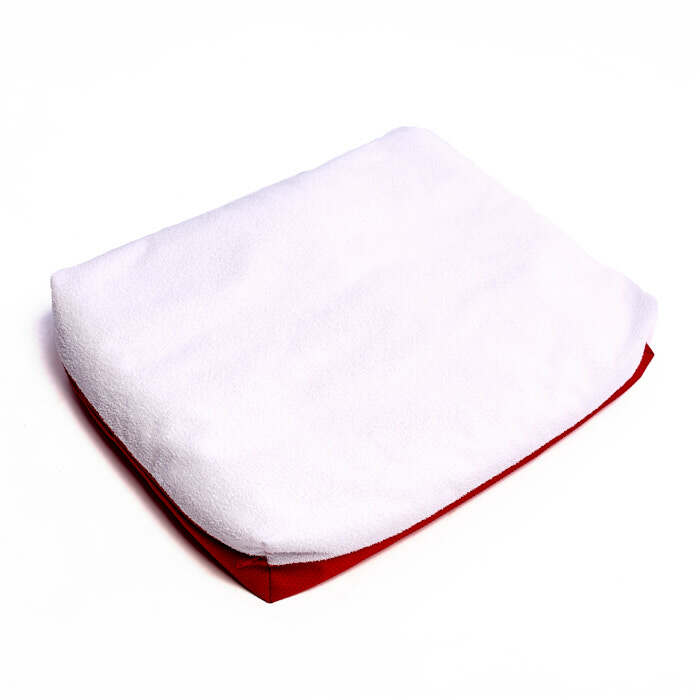 The Bean Bag Pet Pillow is easy to maintain, it is simple washable dog & cat bed. This pillow is made from two separate parts, pillow cover and filling. Cover is removable and changeable. That allows you to wash both parts, cover and filling, individually. 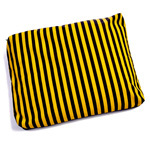 This is simple washable cat & dog bed pillow. 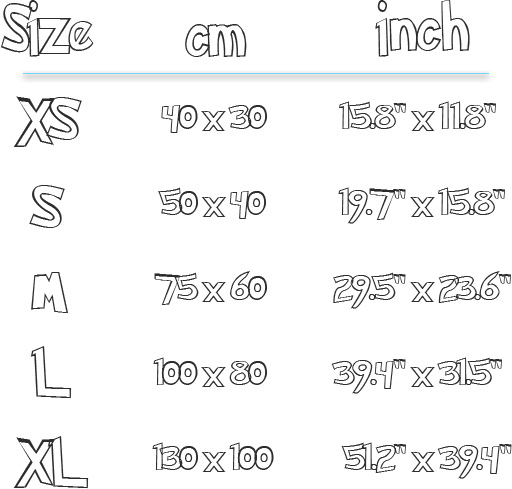 You can have multiple pillow covers with different design and functionality. That allows your furry friend to have the pillow always, even when one pillow cover is washing. The Bean Bag Dog Bed Pillow comes with variety of materials. They all have in common anti slip bottom in variety of colours. Anti slip bottom is perfect for all slippery surfaces as ceramic tiles, parquet, laminate or linoleum floors. 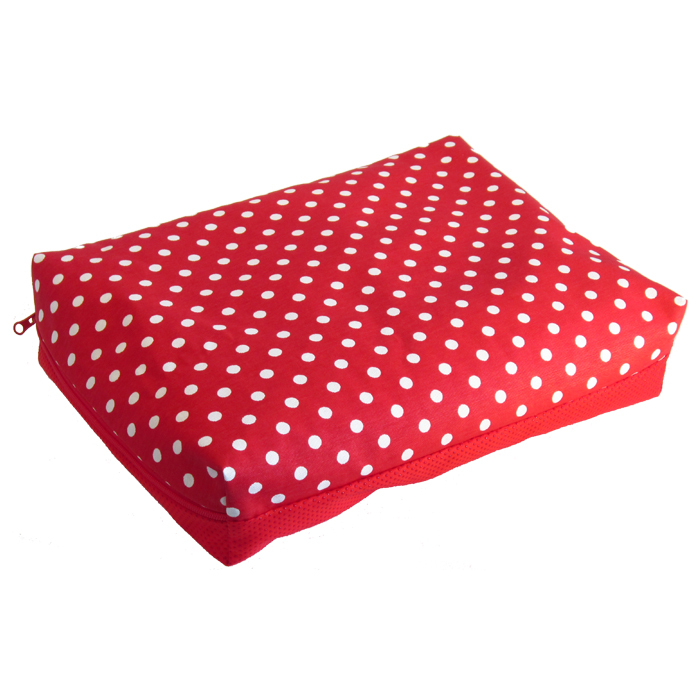 Bottom will secure that your dog doesn’t slip throwing itself on the pillow and the pillow will stay on one place. While sleeping, dogs need more warmth to maintain body heat as we do. 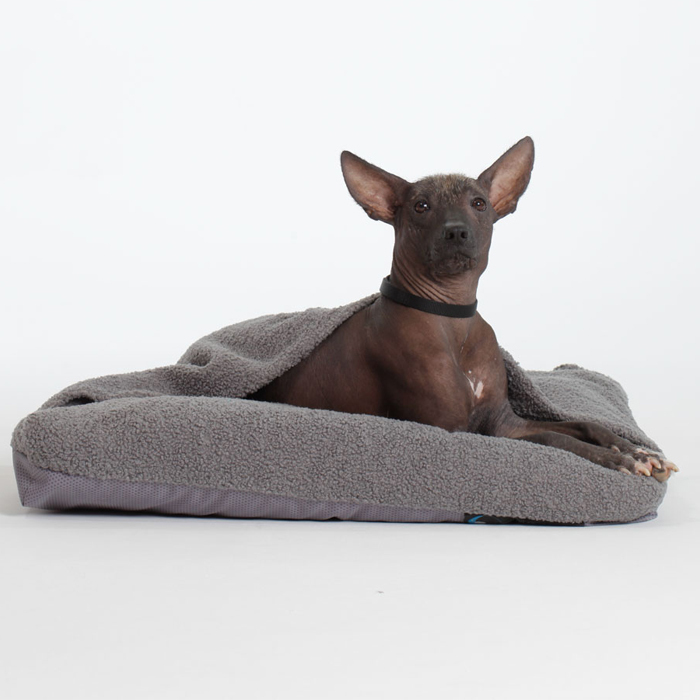 Bean Bag dog bed filling keeps the body warmth and prevents cold to your dog. Bean Bag Cat & Dog Bed Pillows are extremely durable, comfortable, ergonomic and they last for years. Instead of throwing the whole pillow after its surface is ran out, you can simply change the cover and save your money and the environment from extra waste. 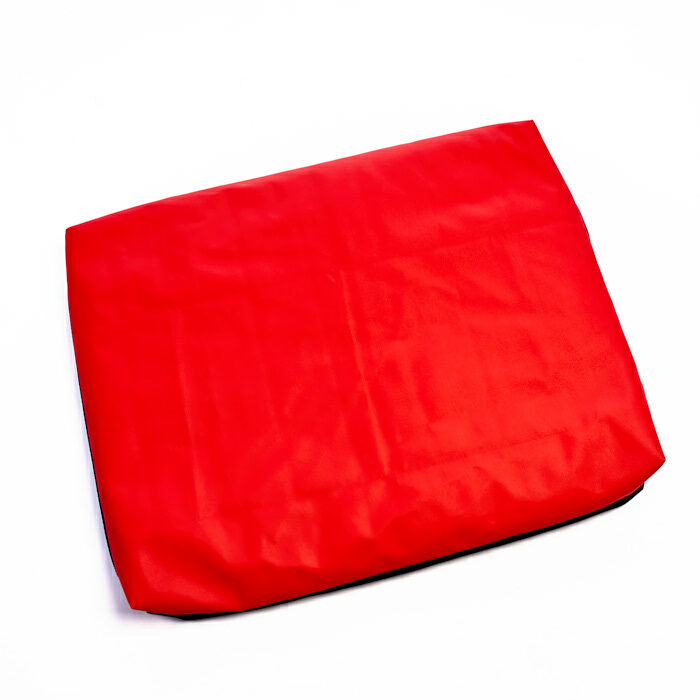 Made from 98% air, Bean bag is the smartest way of using natural resources. It is completely non-toxic, it has low CO2 emissions, it helps save energy, it is reusable and can be recycled up to seven times. So it not only protects your pet, but also mother nature. Having an Eco-friendly pet bed means you are contributing to the greener tomorrow.